Sony Xperia XZ Premium is the flagship phone of Sony which comes with a lot of advantages. The premium phone from Sony comes with an awesome set of hardware configuration such as 19-megapixel camera with image stabilization, Qualcomm Snapdragon 835 processor, a super bright 4K screen and much more that can drool anyone who love to use high-end phones. Sony Xperia XZ Premium is not limited to only good hardware specifications, the phone is backed up by a great software that comes with lot many features. However, if you are buying Sony’s handset for the first time, it is a little hard to find some of the hidden gems that will help you to get the most out of your smartphone. This article is dedicated to the best Sony Xperia XZ Premium tips and tricks that requires a little digging to unlock the same. So, let’s check out these best Sony Xperia XZ Premium tips and tricks and get the most out of your new smartphone. Now, you will find Color Gamut and Contrast, where there will be three options and the Standard Mode in on. 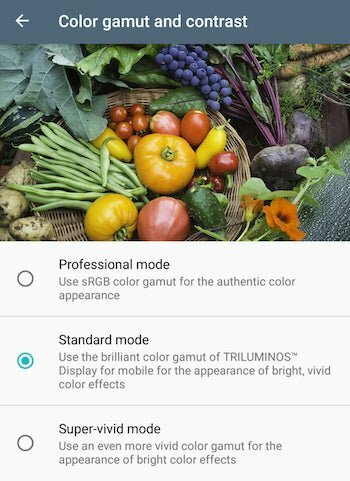 You can switch it to Professional or Super Vivid Mode according to your choice. When you go to the display section of the Sony Xperia XZ Premium, you will find the Smart Backlight Control which will allow you to control your backlight automatically. Hence, even if your backlight time out is set to be 15 seconds, it will be on as long as you are holding the phone in your hand and will only dim the light when you have put your Sony Xperia XZ Premium down which is a cool feature to have. The Sony Assistant is probably one of the best features of Sony Xperia XZ Premium which allows you to use the phone in a very concise manner. It gathers information about how you use the phone and will take that information to alter the way you use it to give you maximum utilization of Sony Xperia XZ Premium. It will be available in the place of the old “Intro & Tips” button that was present earlier. When you start with your Sony Xperia XZ Premium, it is a good idea to use it too. 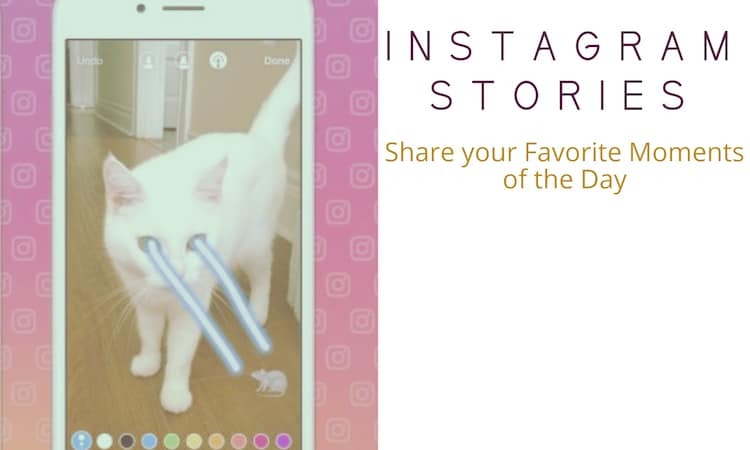 Tap on Settings option and scroll down till you find Double tap to sleep option. Toggle it to turn it On. 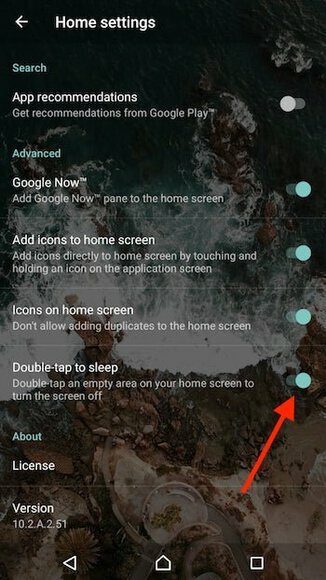 That’s it, this how you enable the option to put the home screen to sleep by double tapping on Sony Xperia XZ Premium. A 3200 mAh battery and a quick charger won’t make the battery last forever. However, Sony Xperia XZ Premium offers users with two varied battery saving modes which are the Stamina and Ultra Stamina that turns off certain features of the phone that you don’t need often in order to keep your battery from draining out. 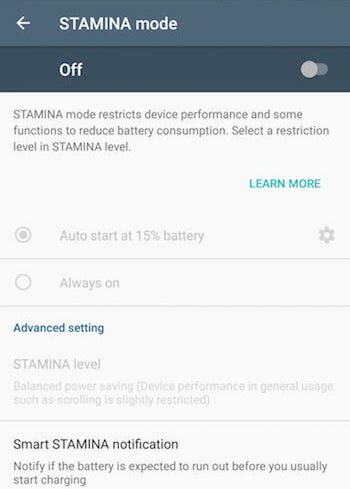 The Smart Stamina mode helps in estimating battery time. One of the coolest features of Sony Xperia XZ Premium is probably the slow-motion video mode, which capture 960 frames per second and allows you to slow down the world around you by 1/40 of its original speed. To capture super slow motion in Sony Xperia XZ Premium, please do the needful. Switch on the Camera and turn to the video mode. Near the Capture button is present in another small circular button which triggers the slow-motion mode. The slow-motion mode isn’t continuous and you have to press the circular button at the moment to capture slow motion stuff. It will bring you a number of options, click on Themes and select the one you like. 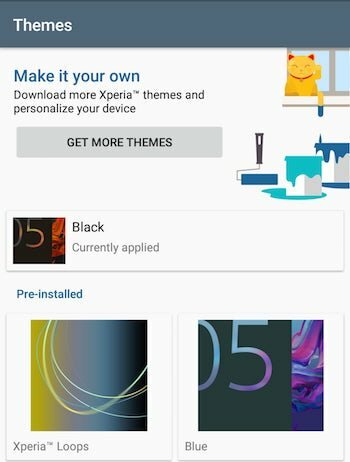 You can also buy or download more themes from Xperia Store. Find Storage and Memory. Under this setting, you will find Smart Cleaner which you need to switch it on. 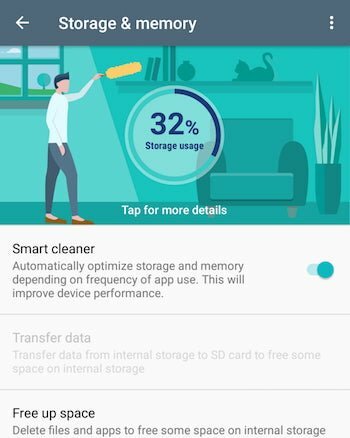 Once you have switched it on, Sony Xperia XZ Premium will take care of the unnecessary cluttering by cleaning it up from time to time. 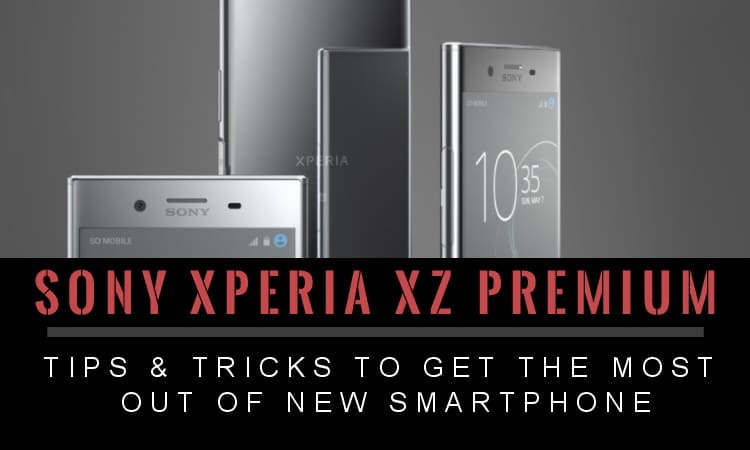 Hope these best Sony Xperia XZ premium tips and tricks help you to use your phone to the fullest in a better way than you have used it all along. Enjoy!